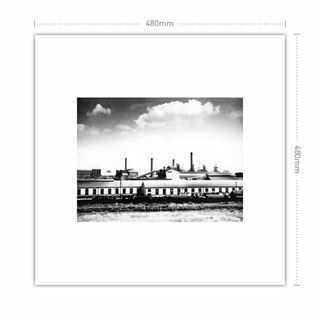 Choose a photo from Picture the Past to print on this luxury cotton cover. We make each cushion to order and supply a feather insert for extra comfort. 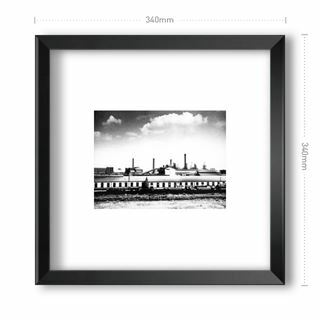 Why not create a mix and match set with different photos to create your own unique style! Design your cushion now. Since 1786 Ward and Barrow had, had a blast furnace in the area of Staveley which for centuries had supported the making of iron. Barrow's works were by 1806 producing 596 tons of pig iron per annum. 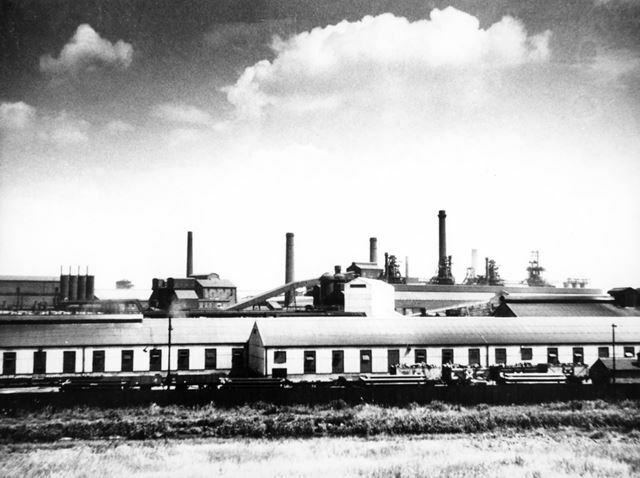 The works continued to prosper and by the 1840's George Hodgekinson Barrow was the proprietor of extensive foundries and collieries at Staveley and in the surrounding area. Barrow was a man of ambitious ideas and in the 1840's he came up with a plan to construct two large furnaces, extend the Chesterfield canal with the Norbriggs arm across the road and sink collieries along its banks. 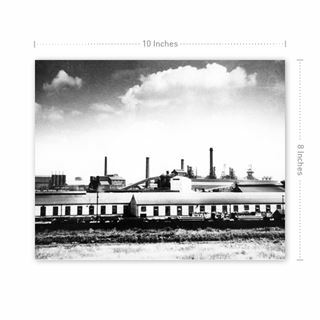 A large steam pumping engine was to be constructed of eighty horse power to drain the shallow wet mines. After his death George Hodgekinson Barrow was succeeded by his son Richard who by 1862 was the owner of the largest collieries in Derbyshire capable of producing 800,000 tons of coal from the five shafts. One of which raised 1,100 tons of coal in a single twenty four hour period. Robert Barrow used the iron from his three foundries to produce castings of every description and in 1862 he produced the 4,000 tons of girders needed for the great exhibition centre without any problems in three months such was the size of the companies resources. In 1863 Richard Barrow sold the firm to a joint stock company, the Staveley coal and iron company, the total capital subscribed was £600,000 which was raised in a few days. Richard Barrow of Ringwood Hall was one of the largest shareholders and was to act as chairman. One precondition of turning the company into a joint stock company was that Charles Markham was to become the managing director for a period of at least five years from the formation. At this time the company employed 3,000 workers, the collieries raised some 1,000,000 tons of coal per annum and the foundries and furnaces produced 20,000 tons of castings. Charles Markham made the company expand rapidly and by 1878 the company had paid up capital of £1,326,000 owning outright and in partnerships several collieries, iron works and housing ventures around the country. His sons and grand sons were to continue the traditions of Charles Markham into the twentieth century. On December 13th. 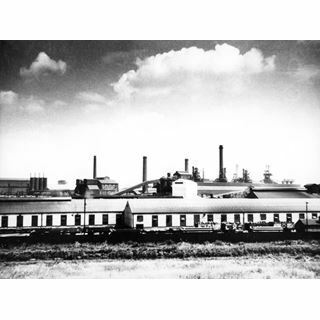 1960 the government of the day sold the Staveley Iron and Chemical company and its subsidiaries for £6,000,000, the sale included the Sheepbridge company which was taken over by the Staveley company in 1955, and three smaller iron companies. Cushion supplied with cotton cover and feather insert.